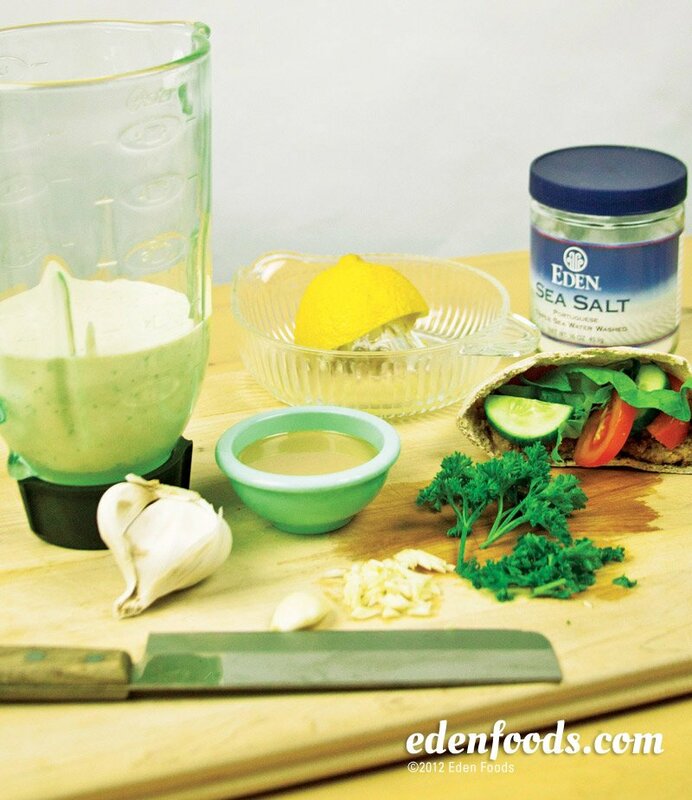 Place all ingredients in a blender and pulse several seconds to blend. Place in a glass jar, cap and refrigerate. Will keep several days. Use on salads, falaffel, pita pocket sandwiches, etc.